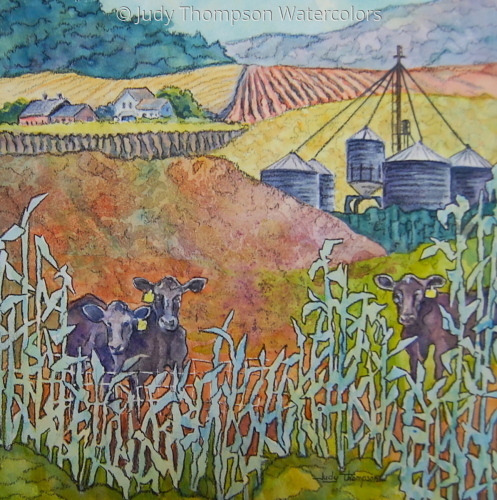 Cows and corn combine into an iconic Midwest landscape. 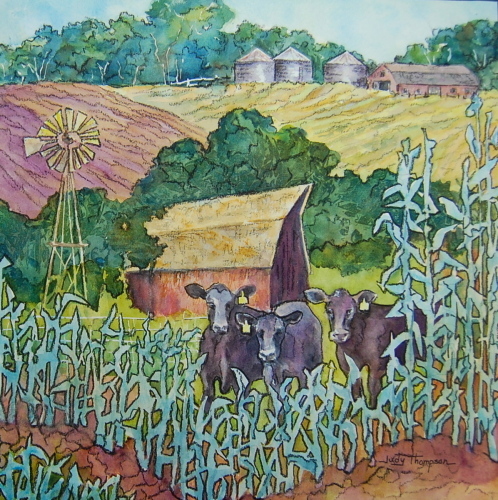 Cows and corn find themselves in another iconic landscape. 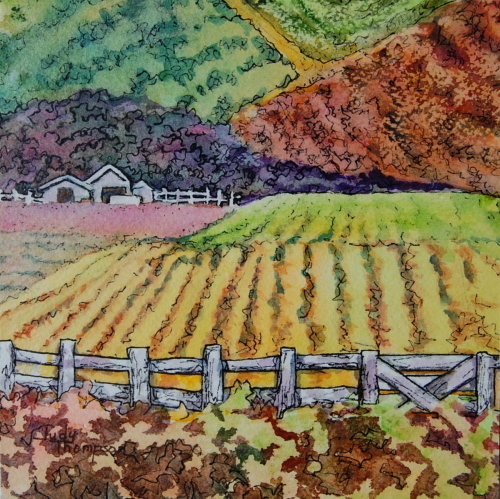 Watercolor & Mixed Media on Varnished Board. 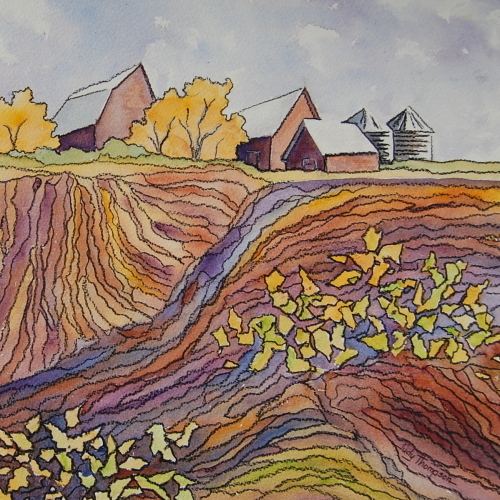 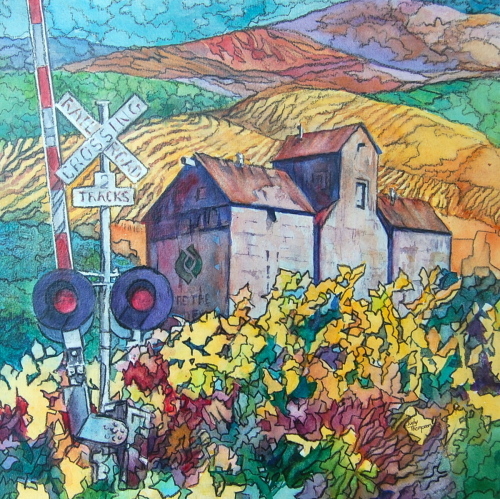 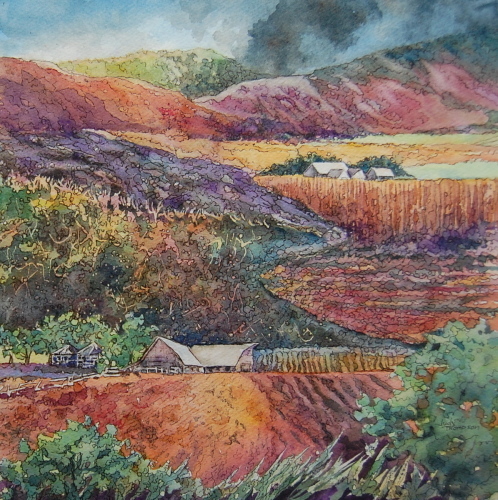 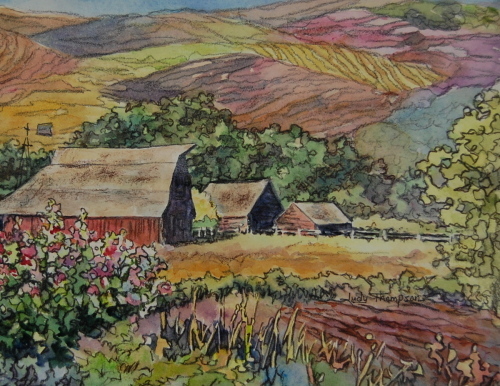 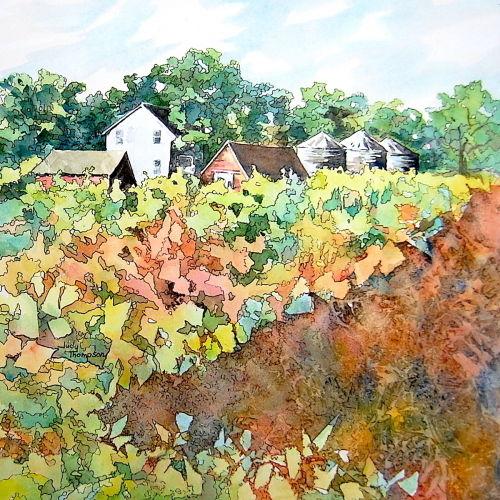 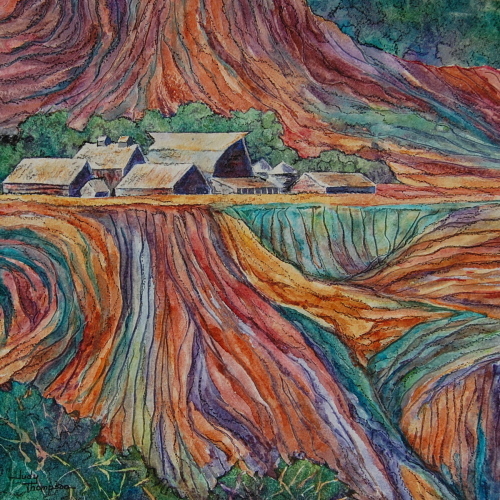 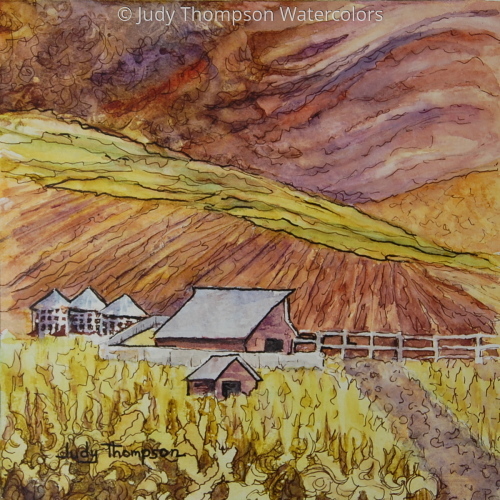 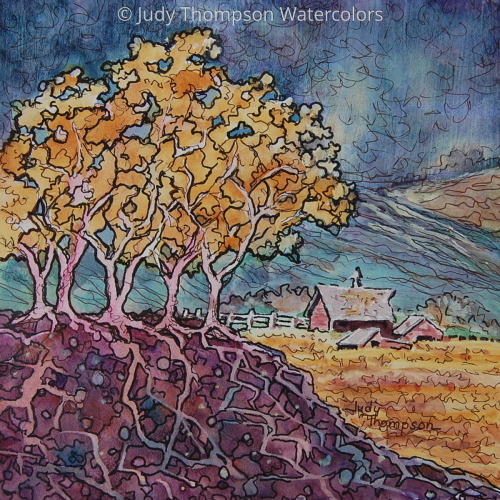 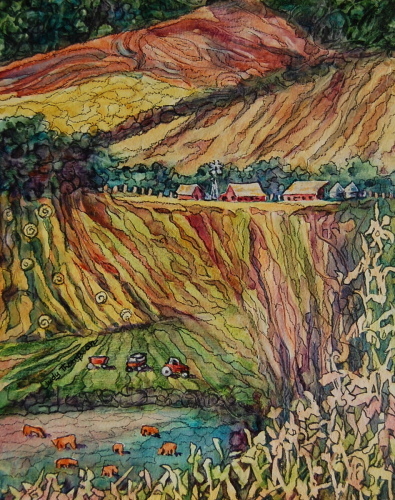 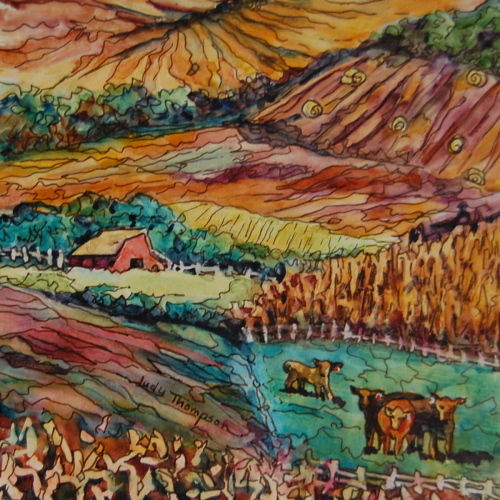 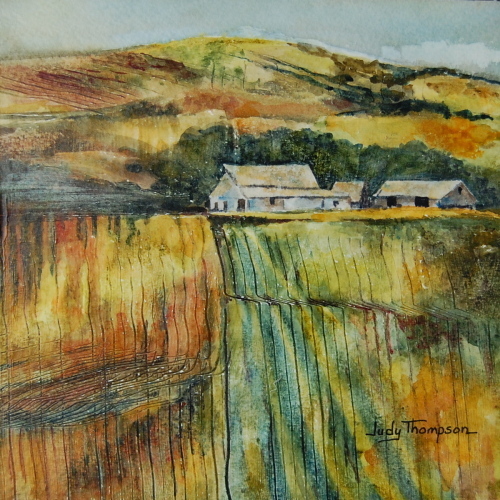 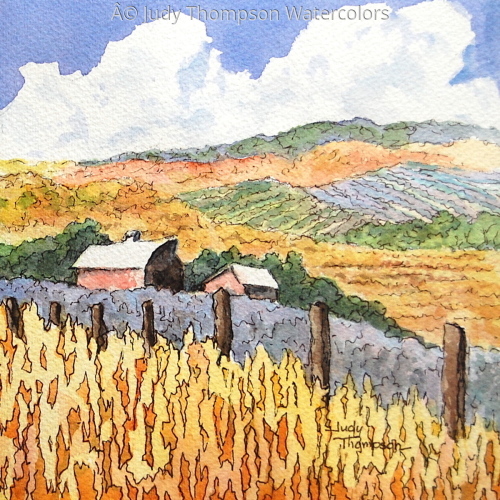 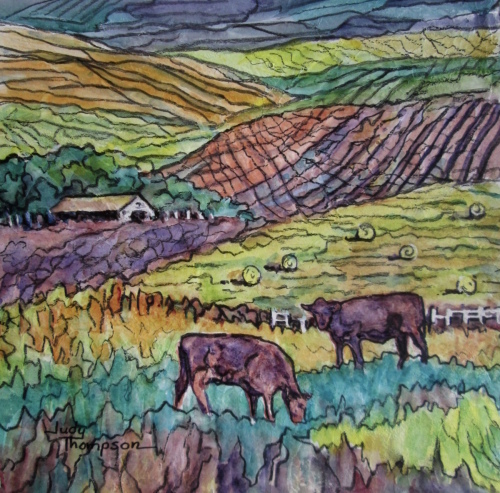 Color, texture and movement define this rural scene. 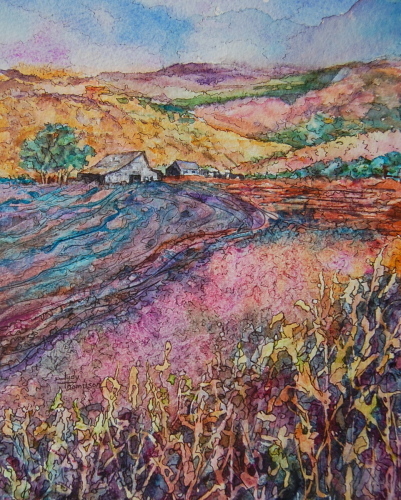 Watercolor & Mixed Media on Board. 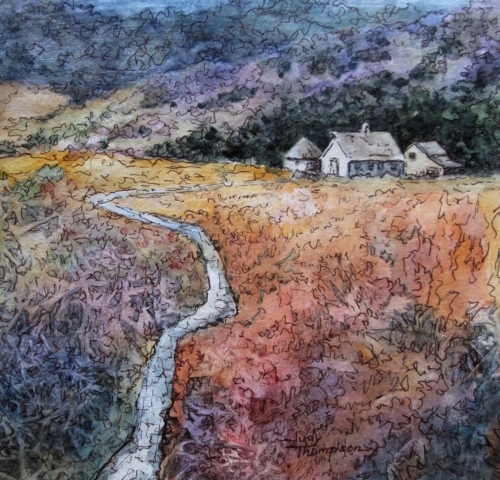 Water and Mixed Media on Paper. 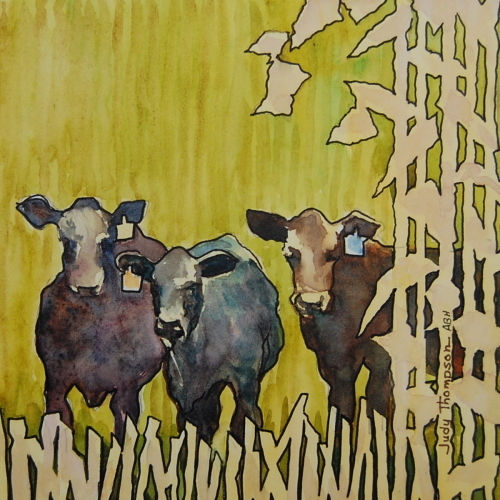 Mounted and Varnished on Board. 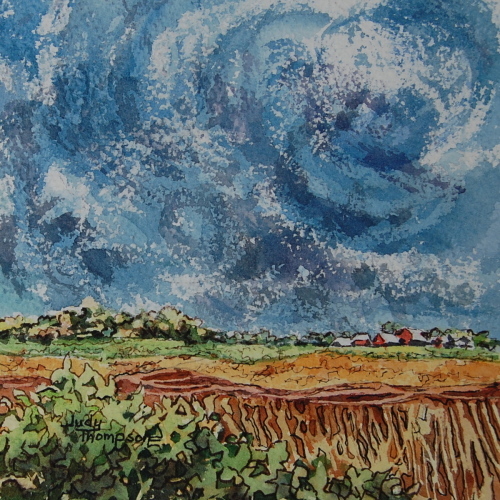 A sweeping view of the Midwest prairie. 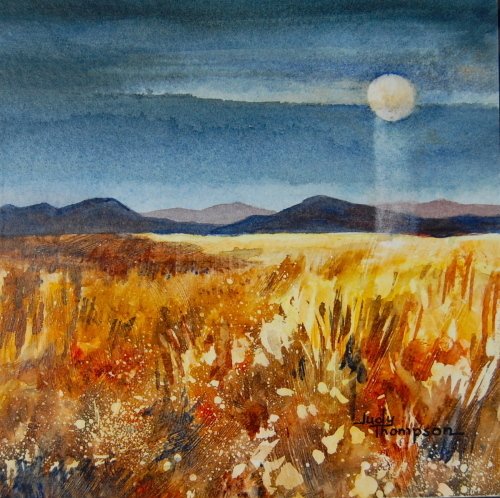 An evening on the moonlit Western prairie. 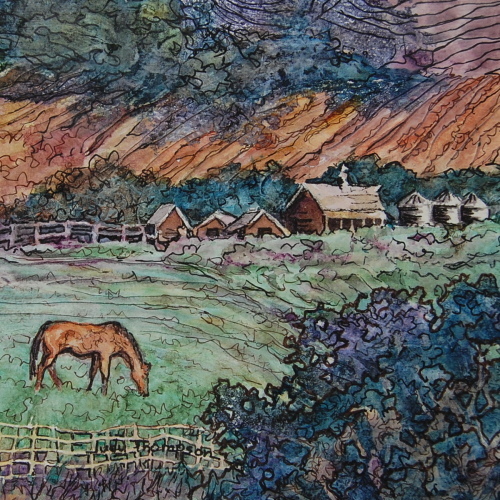 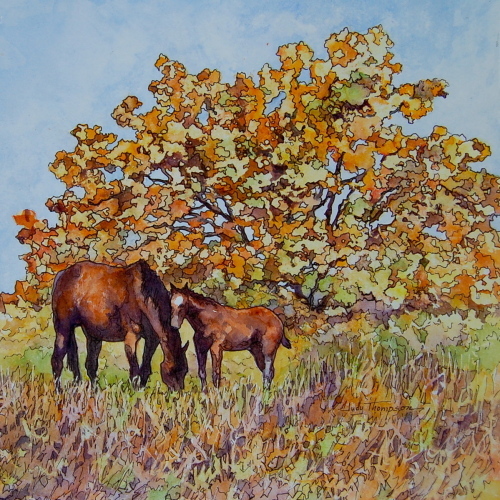 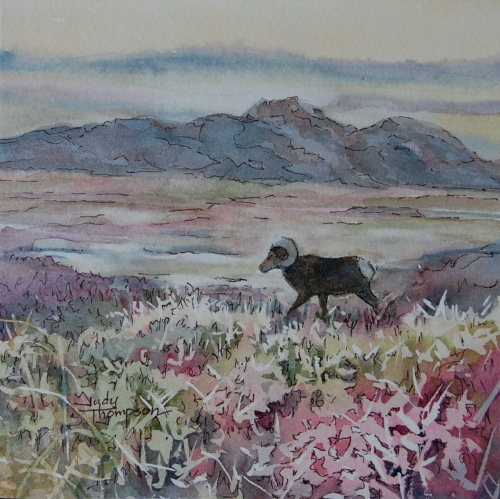 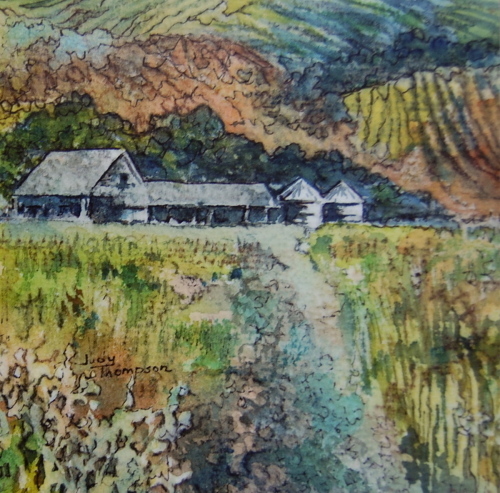 This small painting brings a touch of peaceful pastures to any room. 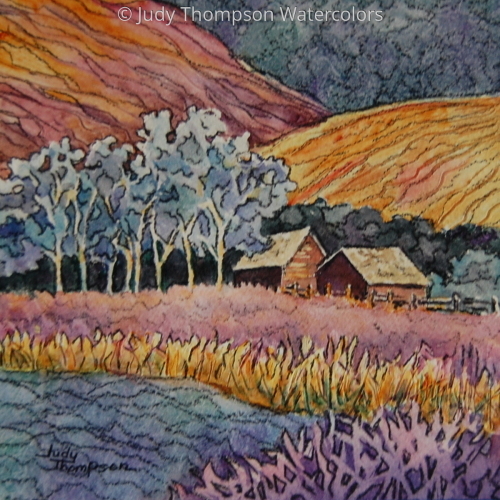 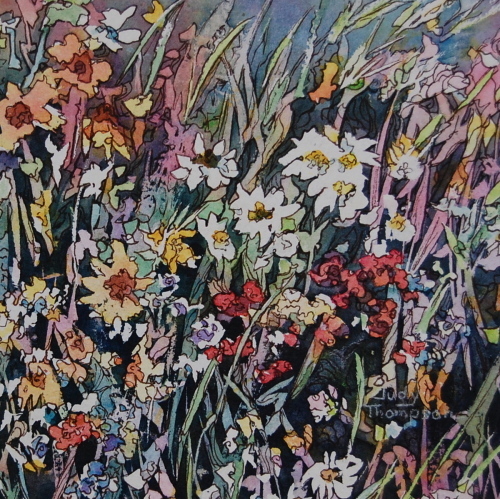 Purples, pinks and pen work create a mystical feel to this mini painting. 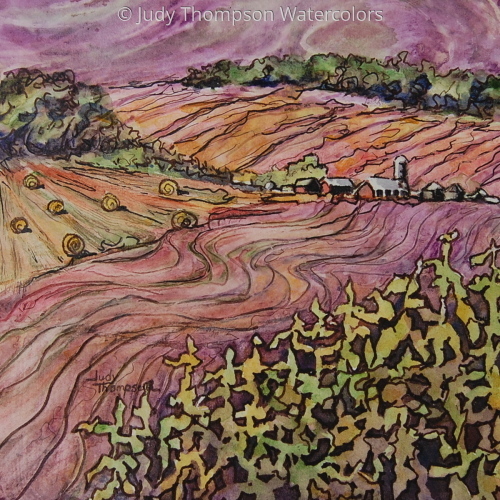 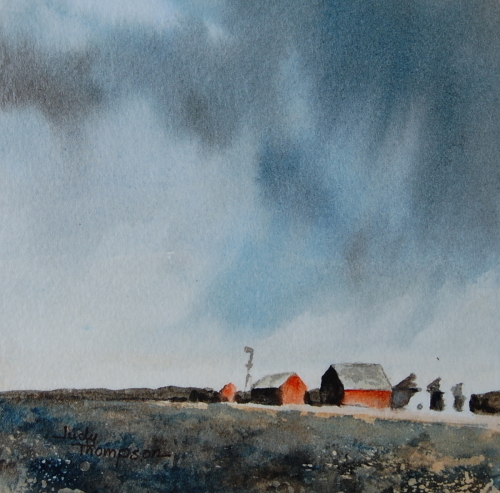 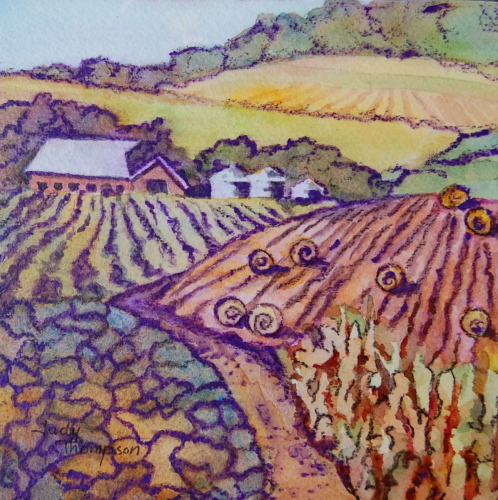 Rolling Iowa farmland inspired this inviting mini-painting. 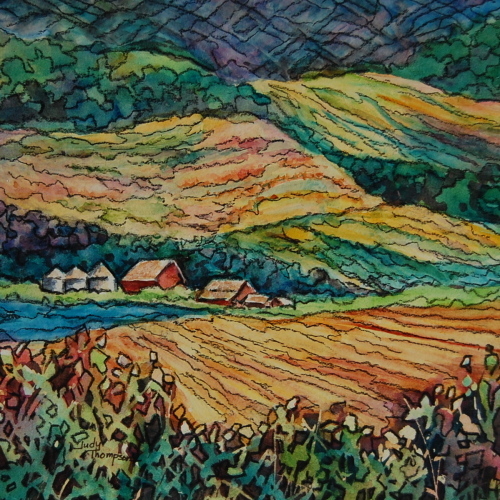 Texture, line and color combine in this delightful mini-painting. 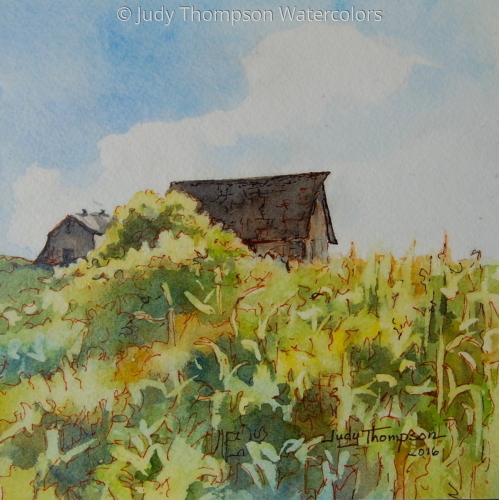 Sunny summer days come alive in this mini-painting. 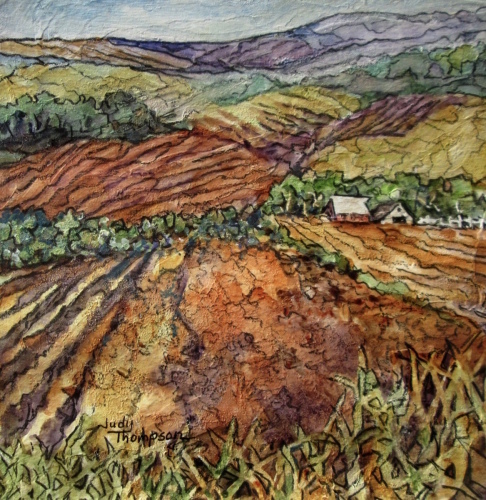 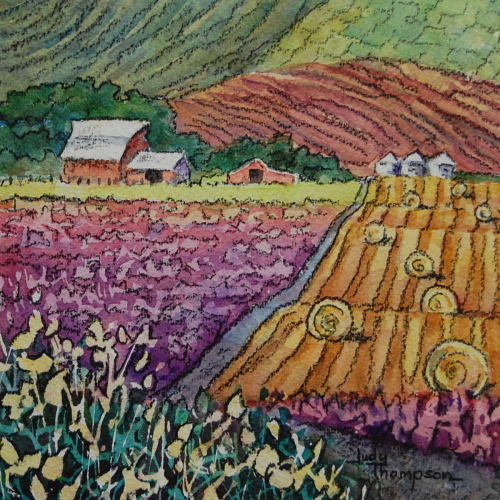 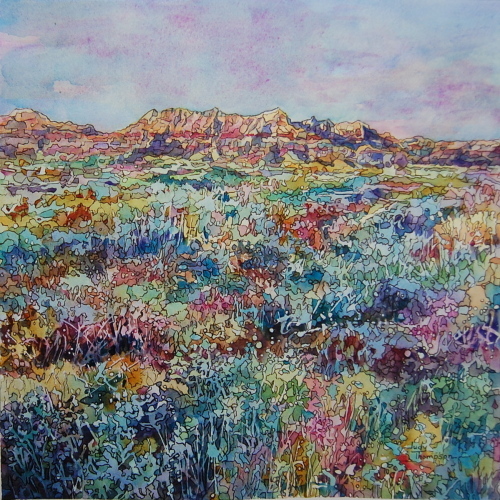 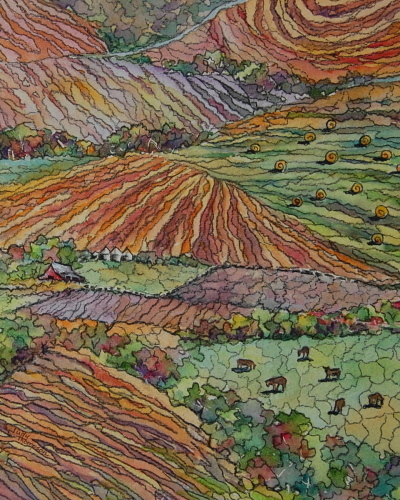 Fields are ablaze with colors and textures in this mini-painting. 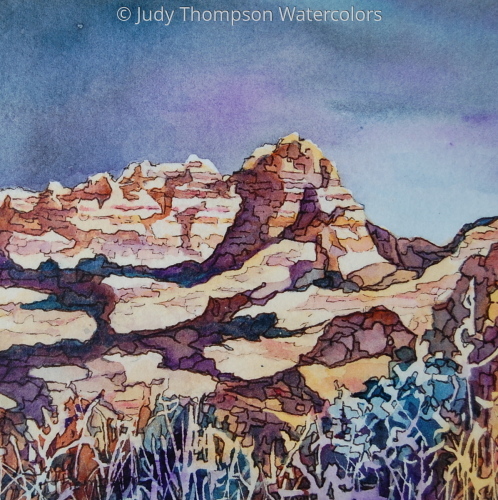 Dramatic shadow and soft skies create a beautiful Western landscape. 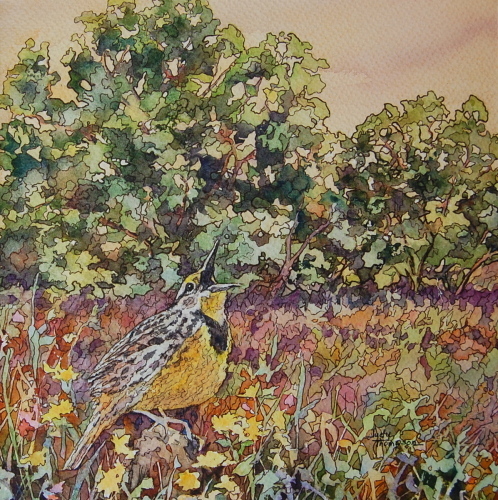 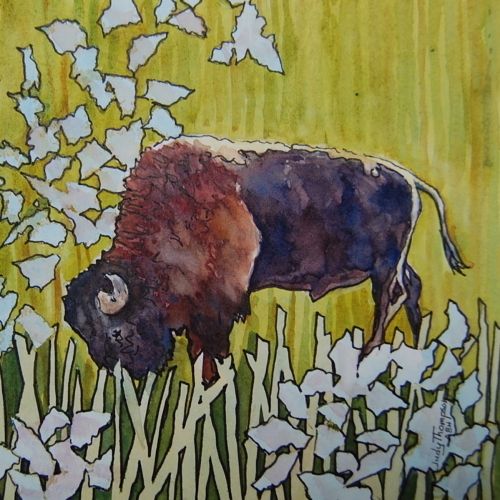 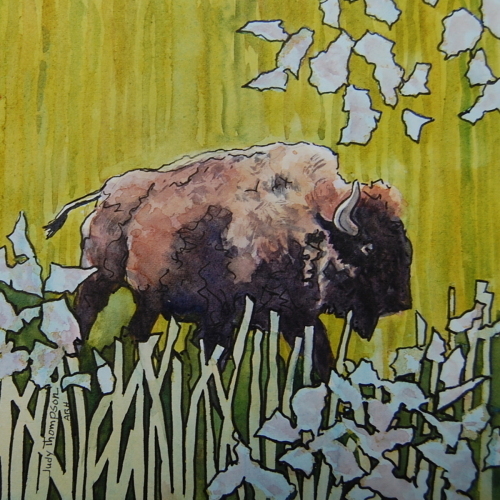 The evening prairie comes alive with wildlife. 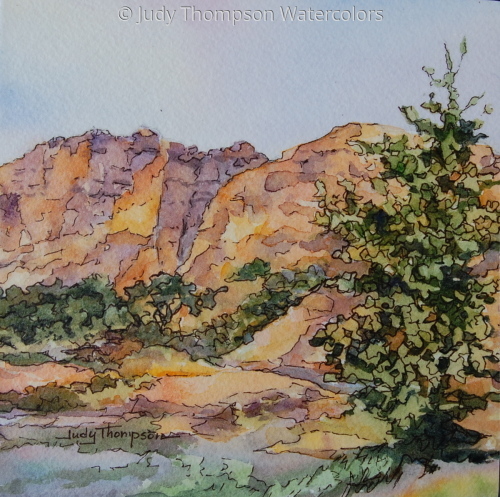 A sunlit morning in the Badlands. 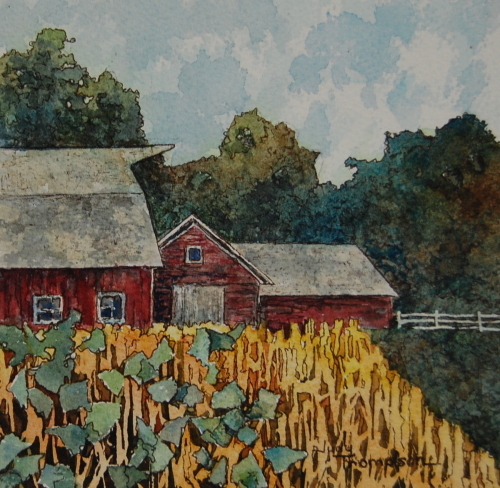 I discovered these two barns during a bike ride on a hot summer day in August. 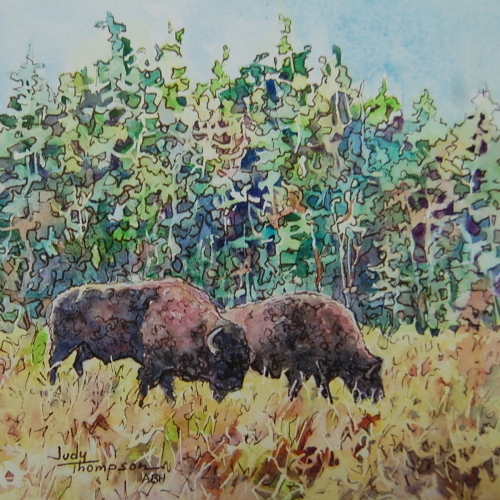 Like old friends, they waved me down to spend some time with them. 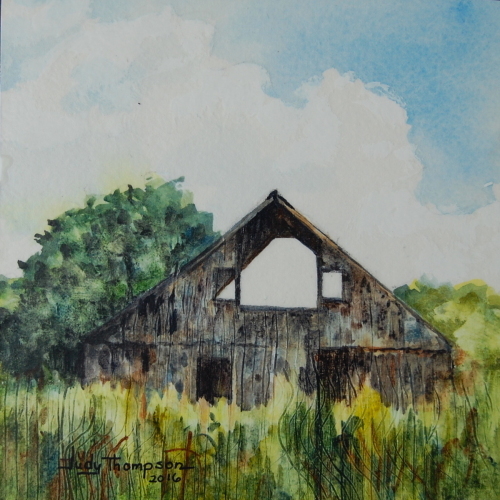 The sky opens into a new vies through the roof of this old barn. 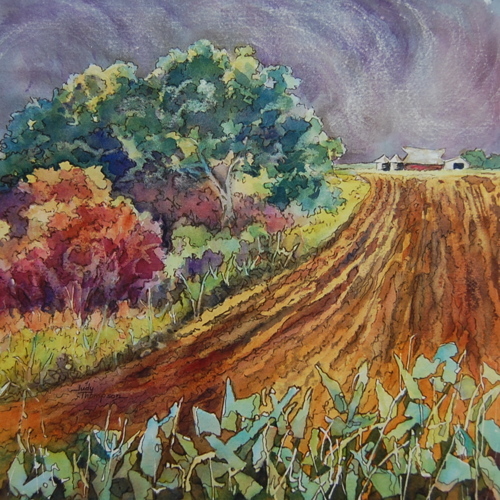 A summer rain promises a fruitful harvest in this mini painting.